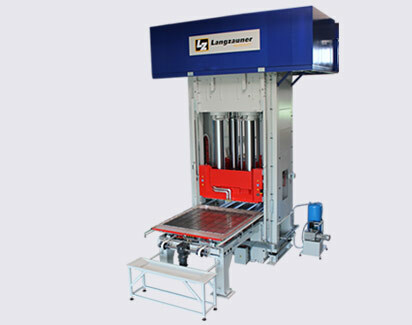 Langzauner produces and develops tailor-made PCM (Prepreg Compression Molding) press systems in various sizes and configuration levels. All systems are tailored exactly to the needs of the customers. PREPREGS – PREimPREGnated materials (fiber-surface materials impregnated with reaction resin compound) are really strong, extremely light and unstoppable on the rise, in more and more industries. The whole is more than the sum of its parts, especially in composites: composites composed of two or more materials develop new properties that the starting materials alone do not have. Composites – especially fiber-reinforced plastics – combine maximum strength and rigidity with particularly low weight. There are also other benefits such as corrosion resistance and durability. With modern production processes, these high-quality materials can be optimized for a variety of applications and tasks. The presses, which are needed to do so, are designed and built by Langzauner – for more than 40 years.